If you have metal allergies and cannot wear pierced earrings any more, are there any alternative solution for earrings? Yes, there is a solution. They are invisible clip on earrings. Even you cannot wear pierced earrings, you still want to wear earrings as a fashion, don’t you. And now that you choose clip on earrings. But there are problems of wearing clip on earrings. First of all, they pinch a lot and cause pain. Sometimes it cause headache from the pain of clip on earrings. Therefore, you cannot stand wearing them more than 1 hours. Secondly, they are not stylish like pierced earrings. If you wear clip on earrings, they are known as “clip on earrings” at glance and clunky. Therefore, you have been looking for pierced look and stylish clip on earrings for your big days such as weddings and parties, haven’t you? Then, you come up with idea wearing “magnetic earrings” for pierced look. But most of them are stud style earrings and hard to find hoop and dangle clip on earrings. The designs are limited. Moreover, they hurt your earlobes if you wear long hours. So wearing magnetic earrings is not a perfect solution. The clip on earrings which solve all the problems which mentioned above are “invisible clip on earrings”. So I think you might wonder what the invisible clip on earrings and why they are alternative even though they are still clip on earrings. I would like to explain. Invisible clip on earrings are new style of clip on earrings from Japan. They look pierced earrings since the earring findings are made from resin and clear. And earring connector from front to back can be barely seen. So as you can see from the pictures, it is hard to tell that they are clip on earrings. 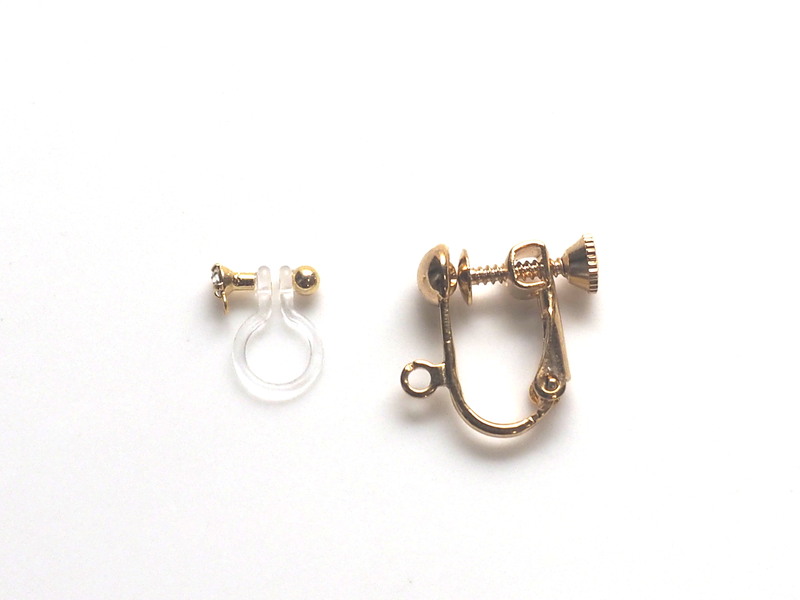 Therefore, you can wear these hoop clip on earrings with pierced earring style. You can wear them for entire day since they are comfortable to wear. The resin earrings are soft and fit your earlobes without pinching. You might think it is impossible to wear clip on earrings for entire day!! So here is the testimonials from my customers. If you cannot give up wearing pierced earrings, why don’t try invisible clip on earrings? This is the very safe way to have a pierced look. If you have any questions, please feel free to leave comments. < Previous Have you chosen your ideal clip on earrings for holiday season? If not, what about elegant crystal invisible clip on earrings? Next > If you have a metal allergy, your only choice is expensive pure gold clip on earrings? No, you still can wear reasonable price clip on earrings. Those are invisible clip on earrings.